Many times we need to share files with friends, family or colleagues instantly but email attachments doesn’t work. In that case you can share files online thru web services on Internet. 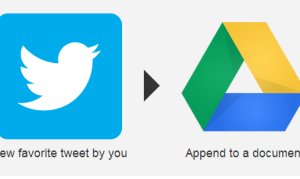 That means, your file will be available to download in no time to your friends, public, relatives etc. Earlier we had shared information about remote support systems like TeamViewer and file sharing tool like Droplr, but today I will show you a very simple to use application named iSendr. So if you had question that how you can share files online in no time, then here is the answer. 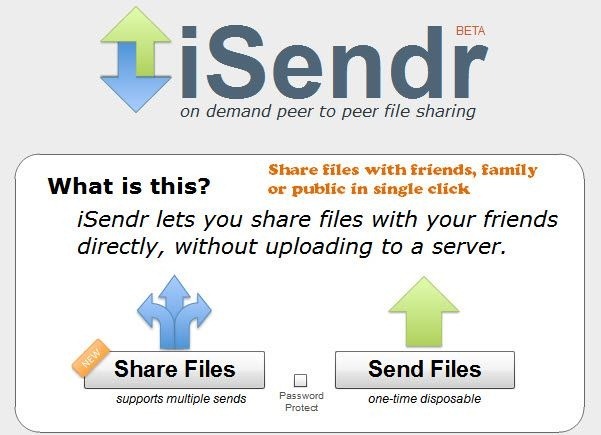 Thru iSendr, you can upload multiple files to share with your friends. There are two different options available on this web service. One is Share Files and the other is “Send Files”. Once you will upload the file thru share file option, iSendr will give a short URL to share with your friends with whom you want to share the file. 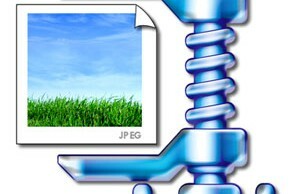 They can open the short URL in their web browser and save the file by selecting them. You can upload multiple files as well in “Share Files” option. There is an option to password protect the shared files. Check the “Password Protect” box while uploading the files. Now at the other end, your friend will have to use the set password to open the received files. Google Docs and Microsoft Skydrives web services are also there to send or share files online, but the simplicity in iSendr makes the service different from others. Which service do you use for sharing files online? Share your experience of sharing files online thru comments system of this post. Next Story → What is a browser? Do you know Google Chrome?